The Los Angeles Lakers have taken a 3-1 lead in the NBA finals as they beat Orlando Magic 99-91 in overtime to move within one win of a 15th championship. Orlando hit the ground running on Thursday night and were up 12 points going into the second half. 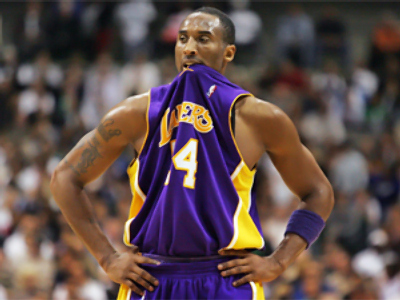 However, Kobe Bryant and Co. caught up and surpassed Orlando Magic in the third quarter. The last quarter saw a real thriller. Orlando were 3 points up when LA’s stand-by Derek Fisher hit a tying three-pointer with 4.6 seconds left. Fisher then went ahead three more with 31 seconds left in overtime, which means the Lakers have won a game in overtime for the second time in a row in the series. Kobe Bryant had 32 points, 8 assists and 7 rebounds for the Lakers. While Dwight Howard had 16 points, 21 rebounds and a finals-record nine blocked shots, but he was just 6 of 14 from the free throw line. Game 5 will be held in Orlando on Sunday.